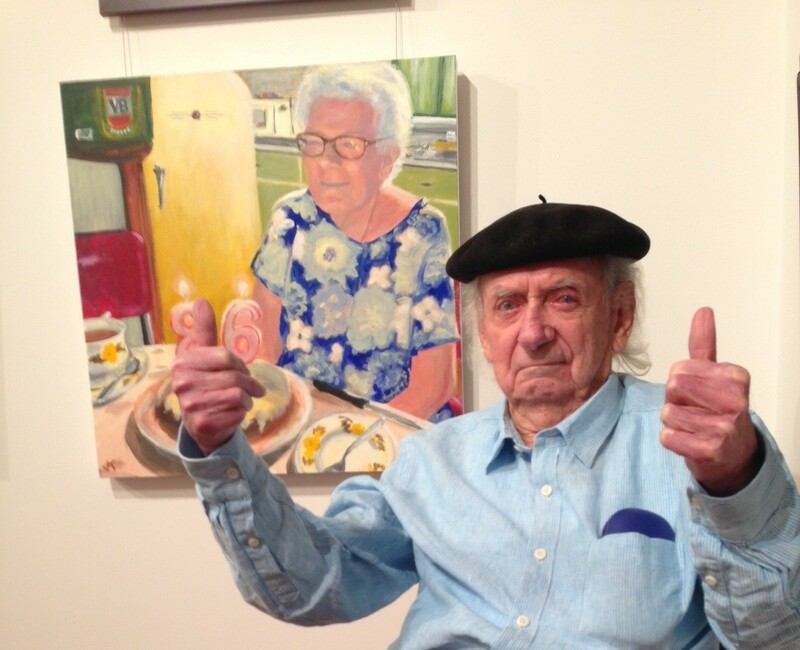 Charles Blackman Gives “Edna” the thumbs up! Internationally aclaimed artist Charles Blackman gave John Klein’s painting “Edna” the thumbs up when he visited the Mosman Art Prize today. Charles was disappointed to find out that voting had closed for the People’s Choice Award.